KMGH 2 Azteca has been added in Arvada, Colo. (channel 99) and Estes Park, Colo. (channel 97). Azteca is an American-Spanish language broadcast television network. KPEJ 2 Estrella TV has been added in Eunice, N.M. (channel 96) and Fort Stockton, Texas (channel 97). 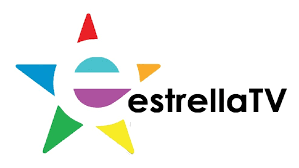 Estrella TV is an American-Spanish language broadcast television network. KUPB 2 LATV has been added in Eunice, N.M. (channel 97) and Fort Stockton, Texas (channel 98) and Seminole, Texas (channel 97). LATV is an American bilingual broadcast television network. Due to a lack of viewership, TDS has decided to remove the Pop Channel from its channel lineup effective May 31. Pop is located in the limited tier in select TDS cable markets. The Pop Channel is a general entertainment channel focusing on programs related to popular culture, including news magazines and reality shows. TDS believes our customers deserve the best entertainment experience at the best possible price. TDS is constantly reviewing our channel lineups to make sure we provide our customers top-notch TV service for the right price. The Pop Channel will be dropped in the following markets on May 31: Alamogordo, Alpine, Arvada, Carlsbad, Eunice, Fort Collins/Pierce Ault, Fort Stockton, Hobbs, Lovington, Ruidoso, Seminole, Truth or Consequences and Woodland Park. Gift ideas for Mother’s Day 2017! I would like to see TDS add the BUZZR channel to the regular channel line up please. it is available in the Lubbock viewing area and should be included in all TDS markets. thank you. Thanks Barry for your suggestion. I will forward your request to our channel lineup team. Thanks Laurie for the suggestion. I will forward your request to our channel lineup team. PLEASE bring back POP Channel!!!!!! Due to a lack of viewership, TDS decided to remove the Pop Channel from its channel lineup effective May 31. I will forward your request to bring back POP Channel to our channel request list. Please remove some of the religion channels to make room for more appropriate programming.